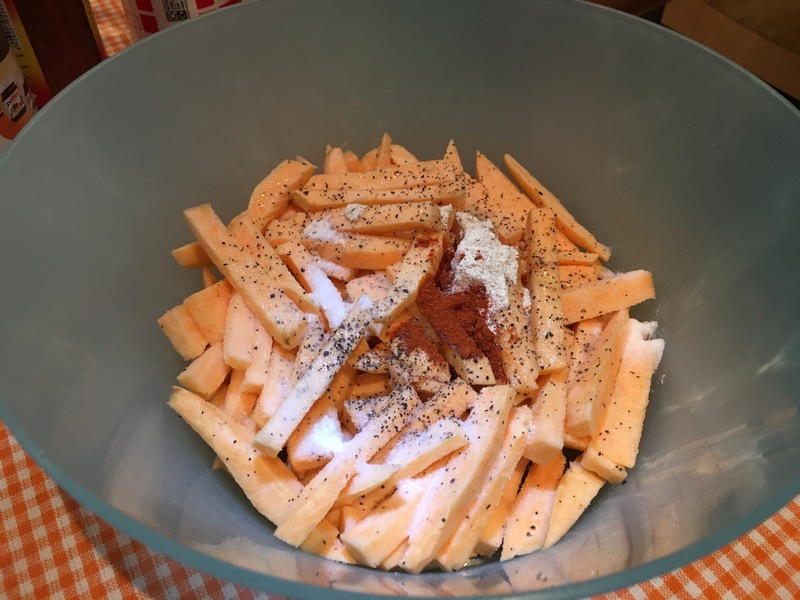 In a large bowl – mix sweet potatoes with just enough olive oil to coat, along with House Seasoning and Paprika. Spread sweet potatoes in single layer on prepared baking tray. 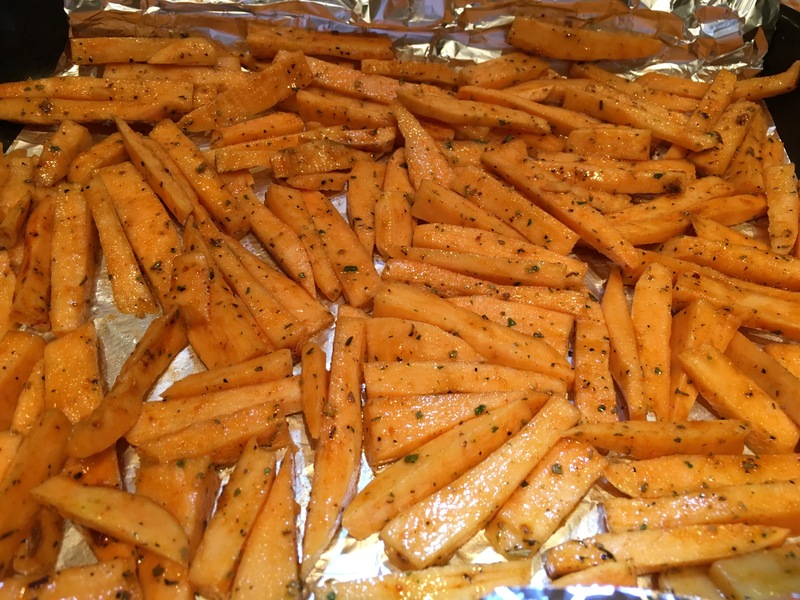 Bake until sweet potatoes are tender and golden brown, turning occasionally. Big thank you to my sister Andrea Rodrigues, who helped me make this! I have been really busy with exams and you have helped me keep my blog going for people to enjoy! So thanks again!